The sisters, 15 and 13, were abducted on March 20 from their village Hafiz Salman in Ghotki district of Pakistan’s southern province of Sindh, where a majority of the country’s Hindu population lives. India has sent a note verbale to the Pakistan Foreign Ministry over abduction of two Hindu minor girls in Pakistan and their alleged conversion to Islam. 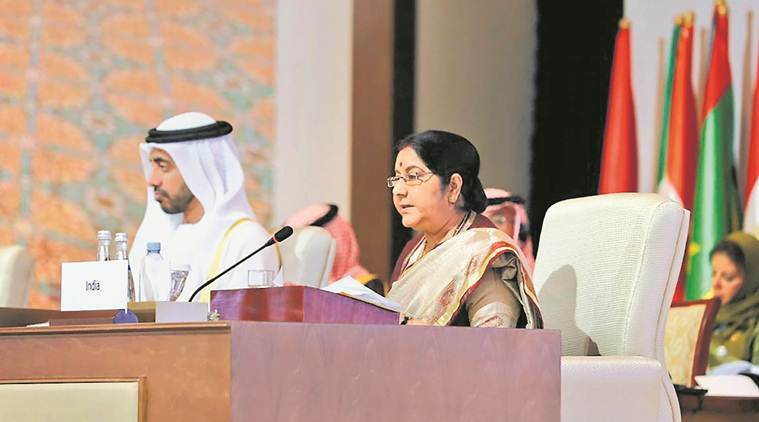 This followed a Twitter spat between External Affairs Minister Sushma Swaraj and Pakistan’s Information Minister Chaudhry Fawad Hussain over the matter on Sunday. “India has asked that suitable remedial action be taken by the Pakistan government to protect and promote safety, security and welfare of its own citizens, especially from the minority communities,” a source said. 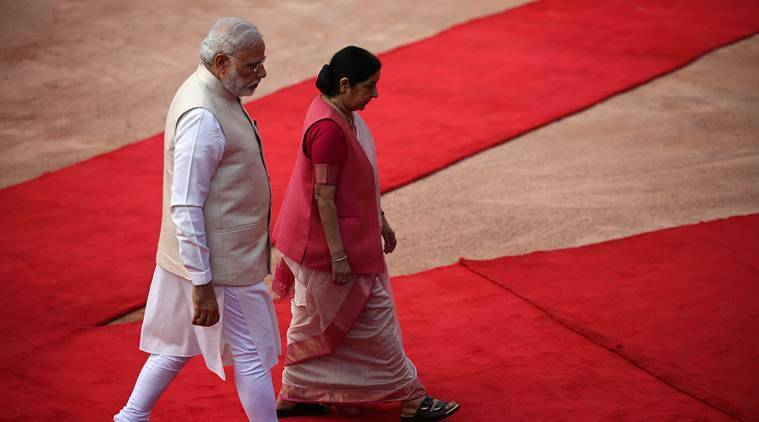 As the incident, that happened in Pakistan’s Sindh province, raised an uproar among civil society there, Swaraj tweeted on Sunday morning that she had sought a report from the Indian High Commission in Islamabad. The Pakistani Information Minister hit back, noting on Twitter that the matter was Pakistan’s internal issue and adding that it’s not “Modi’s India where minorities are subjugated”. The sisters, 15 and 13, were abducted on March 20 from their village Hafiz Salman in Ghotki district of Pakistan’s southern province of Sindh, where a majority of the country’s Hindu population lives. Soon after, a video went viral in which a cleric was purportedly shown solemnising the nikah (marriage) of the two girls. In a separate video, the girls can be seen saying they had accepted Islam of their own free will. On Sunday, Prime Minister Imran Khan ordered a probe into the matter. While the green in Pakistan’s flag represents the Muslim majority, the white represents its minorities, including Hindus who comprise 1.2 per cent of its population. Swaraj responded sharply, tweeting that she was merely asking for a report from the Indian High Commission, and asking why that had made Hussain “jittery”. “Mr.Minister @fawadchaudhry – I only asked for a report from Indian High Commissioner in Islamabad about the kidnapping and forced conversion of two minor Hindu girls to Islam. This was enough to make you jittery. This only shows your guilty conscience,” she tweeted at 2.25 pm. Hindus in Pakistan comprise a minuscule 1.2% of the population, and instances of intimidation, abduction, persecution, forced conversions and forced marriages of girls belonging to the community have been reported frequently. While New Delhi has consistently asked Islamabad to take care of its citizens, it is in Pakistan’s self-interest to protect its own. In a separate Twitter post, in Urdu, Hussain said PM Khan had asked the Sindh Chief Minister to look into reports that the two girls had been taken to Rahim Yar Khan in Punjab, ostensibly to avoid arrest. An FIR registered in Daharki Police Station on behalf of the victims’ brother says that the family had had a brief altercation with Barkat Malik and Huzoor Ali Kobhar some time ago, and that on March 20, six persons, armed with pistols, had entered their house and Barkat, among others, had dragged his sisters away. Separately, there were media reports of abduction and forced conversion of another minor Hindu girl from Mirpurkhas, also in Sindh, the same day, the details of which are still awaited. India has earlier too raised the issue of Hindu and Sikh minorities in Pakistan. On March 28, 2018, Minister of State (External Affairs) V K Singh had told the Lok Sabha, in response to questions, that the government had seen reports appearing in the media of problems faced by members of the minority communities in Pakistan, including “intimidation, abduction, persecution, forced conversions and forced marriages of girls”. “It is the responsibility of the government of Pakistan to discharge its constitutional obligations towards its citizens, including those from the minority community. The government has from time to time taken up the matter with the government of Pakistan and has conveyed the expectation that the latter will look after the safety, security, well-being of its minority communities,” he had said. The Hindu community in Pakistan has held massive demonstrations calling for action against those responsible for the kidnapping of the sisters. A 2014 report by the Movement for Solidarity and Peace estimated that nearly 1,000 non-Muslim girls are forcibly converted to Islam in Pakistan every year. Many of these cases are reported from Sindh. Patron-in-Chief of the Pakistan Hindu Council Ramesh Kumar Vankwani issued a statement on Sunday saying he had asked the authorities to take measures for “early recovery of the two innocent girls”. Vankwani, who is a Member of Pakistan’s National Assembly and belongs to the ruling Pakistan Tehreek-e-Insaf, sought strict action against the culprits. A five-point resolution seeking to end the kidnapping of Hindu girls and forced conversions would be tabled in the next session of the National Assembly, he said.